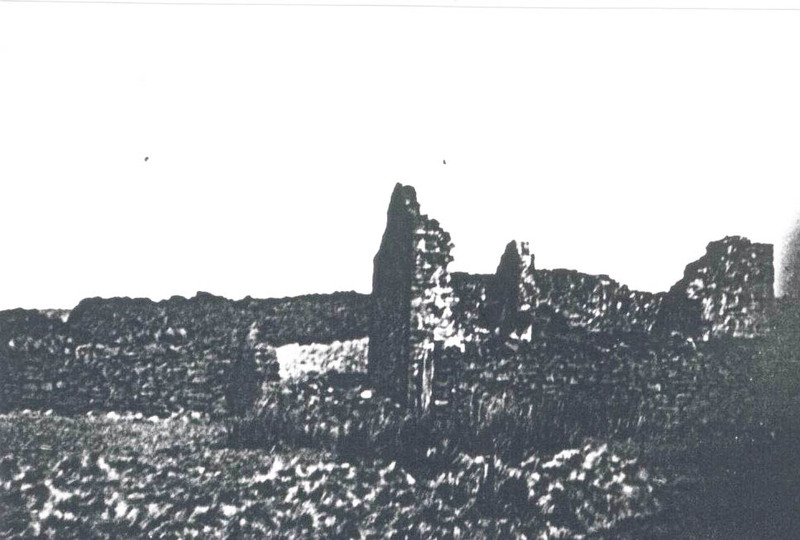 The ruins of Lees became known as Snapes, and later as Peewet Hall. There was also a separate residence called Lee House. A Peewet is an old name for a Lapwing, and there are still many of these birds around the area. 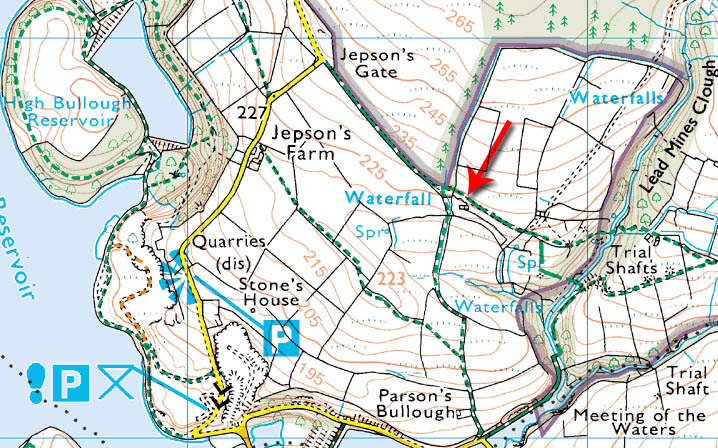 The original OS mapping shows a modest-sized property, certainly not a hall of the type you may expect. 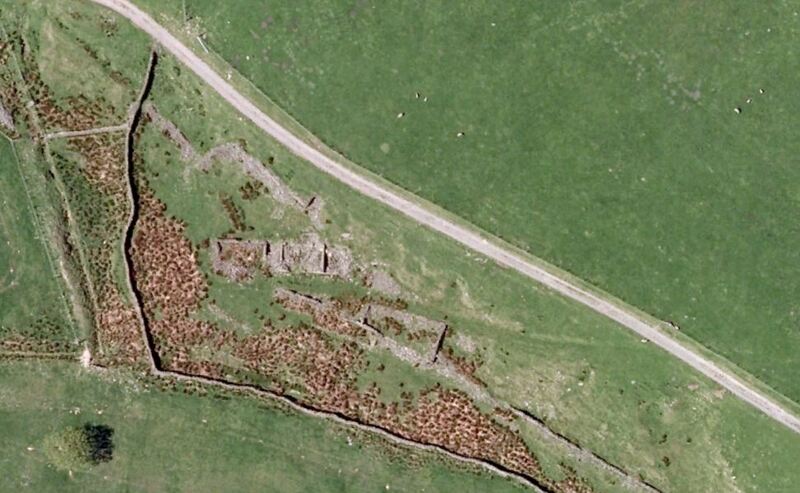 However, aerial mapping appears to show a considerable expansion. Peewet Hall, named after the Lapwing! A lo-res photo of uncertain date. They had a son, Andrew, who was born on 6th April 1794. He married Mary (Molly) Crook, and the lived at Higher House. He died on 12th May 1866. 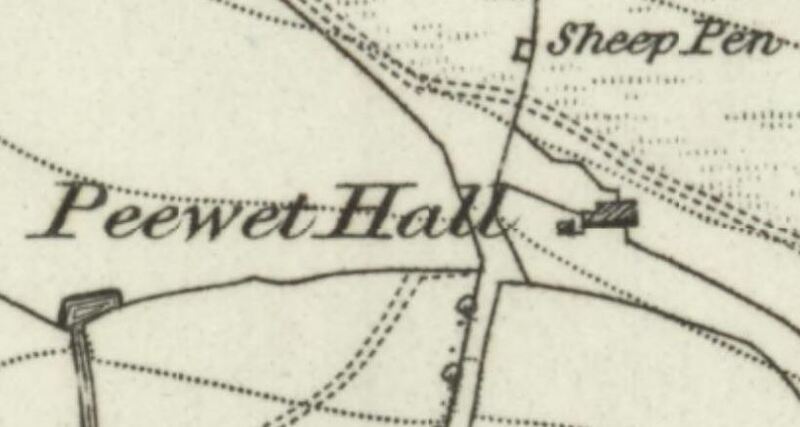 D A Owen’s sketch of Peewet Hall. Everyone around here was said to keep a few stirks (yearling calves) and a few sheep. 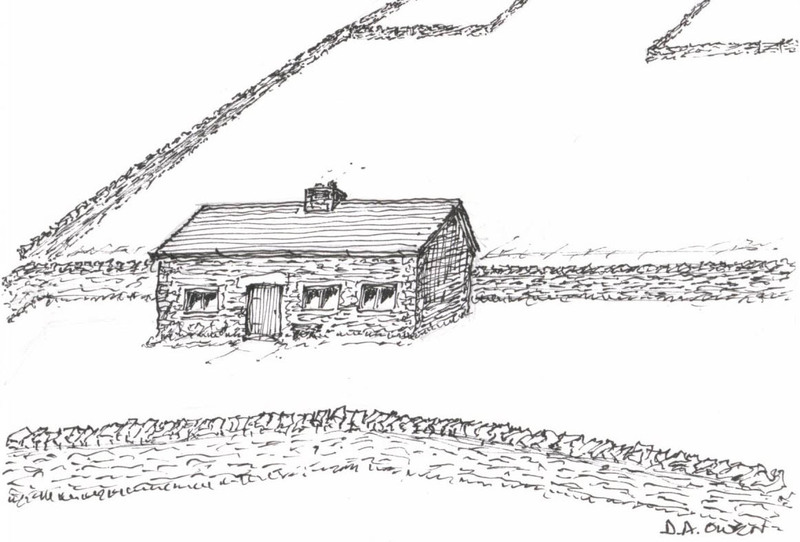 It is probably that Peewet Farm had dry earth closets. I am not sure who took over Peewet Hall from the Berry family, – it is known that in 1851, the farm still housed a man as a handloom weaver. In 1861, however, the formation of the reservoirs was taking over the area, and quarrymen were in residence here and at Fogg\’s. 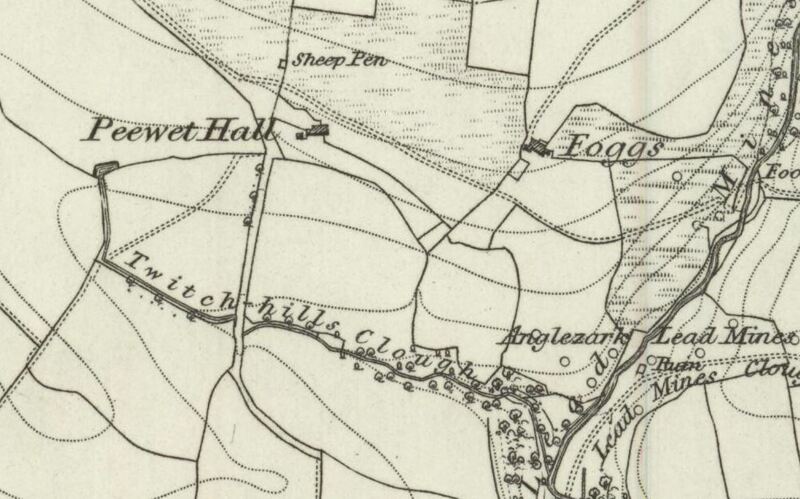 It seems that the farm lived on after the reservoirs for a short while – a John Fisher was born here around the turn of the 20th Century. His father farmed both Snapes and Fogg\’s. however the family moved to Belmont in around 1905-7. This was probably due to a compulsory purchase order of the land. The outline of these particular ruins are clear to see. Now, there is little left, although the Peewets (or Peewits – although more commonly known as lapwings) are still around! The name “Lapwing” describes its wavering flight. Its black and white appearance and round-winged shape in flight make it distinctive, even without its splendid crest.